Osteoarthritis is a frequent source of chronic low back pain. Patients often fail to respond to common treatment modalities such as anti-inflammatory medications, cortisone injections, physical therapy, and surgery. Low back surgery actually has a less than 50% success rate in the United States. 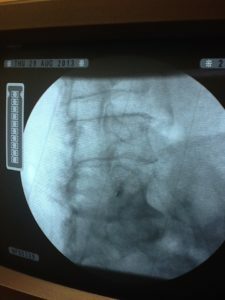 Stem Cell Therapy and Platelet Rich Plasma (PRP) are being used more frequently as Regenerative Medicine options to treat chronic low back pain an osteoarthritis. The ease of application of PRP and Stem Cell Therapy via an injection makes it a simple alternative to low back surgery without the prolonged recovery of surgery.